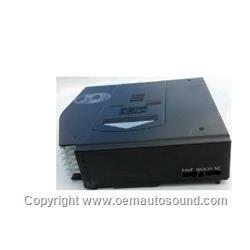 Will fit factory installed Ford Cd changer in Ford expedition, explorer, Mercury and Lincoln vehicles. If your changer comes with the orange eject button sable Taurus 1995 to 2002 F8DF-18C833-AA trunk mount. Cd changers with the square gray or green eject button that has a triangle logo click here.